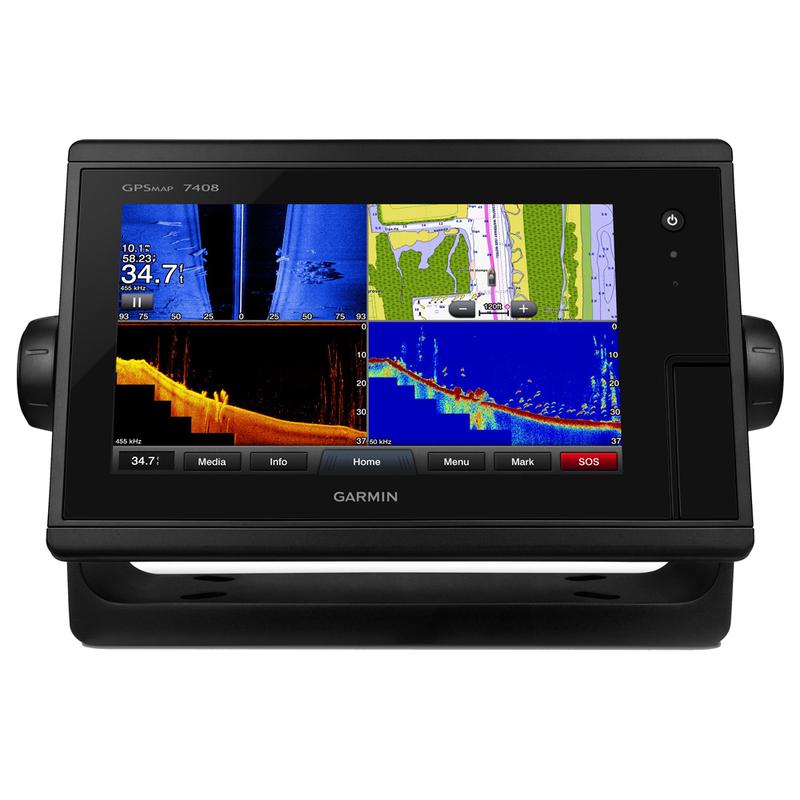 Designed for cruisers, sailors and sailing racers who demand high performance, ease of operation and feature integration, the GPSMAP 7408 chartplotter with 8-inch multi-touch widescreen display has a 10 Hz internal GPS that updates position and heading 10 times per second. It is fully network capable, including the Garmin Network and NMEA 2000, and offers the conveniences of built-in Wi-Fi® connectivity. Full-network compatibility allows you to add more capabilities to your boat. GPSMAP 7408 supports radar, autopilot, instruments, multiple screens, FUSION-Link, sensors, remote sonar modules, digital switching, thermal cameras, GRID rotary knob, joystick and keypad control and more. GPSMAP 7408 allows you to share features with other compatible GPSMAP units, such as radar, GCV 10ClearVü and SideVü scanning sonar, GSD 24, GSD 25 and GSD 26 sonar modules, supplemental maps, and user data, including waypoints, routes and tracks. User data entered into 1 chartplotter can be automatically synced with other chartplotters in a network. Two SD™ card slots provide expandable memory for accessory map purchases, such as LakeVü HD, LakeVü HD Ultra or BlueChart g2 or BlueChart g2 Vision.